If you're ash'ing for the best fireplace accessories to improve the aesthetic appeal of your unit, nothing beats the smooth, hot, rolled lava stone. This product comes in a variety of sizes and two natural, earthy colors - charcoal black and ashy red - to meet your design preferences. If you've been erupting to enhance the authentic look of your fireplace, look no further. 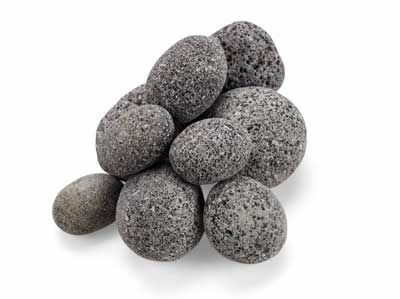 These rolled lava stone pebbles are 2.5" to 4.5" in size to add that sizzling radiance you've been seeking.